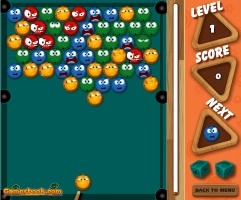 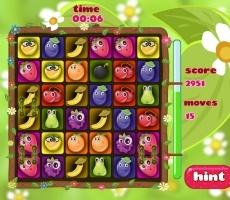 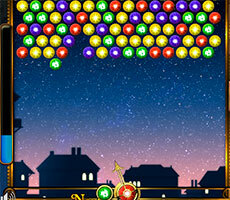 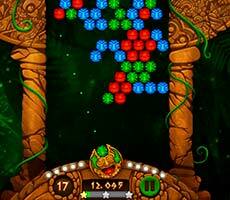 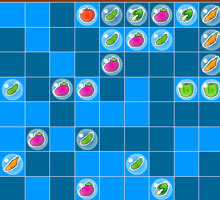 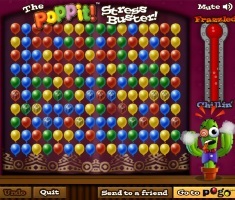 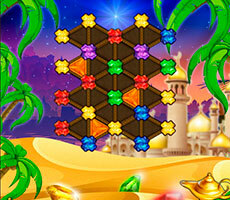 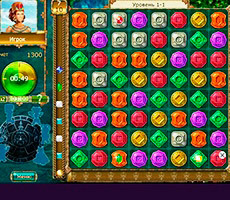 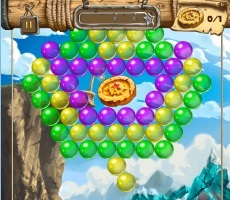 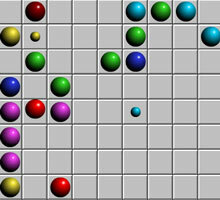 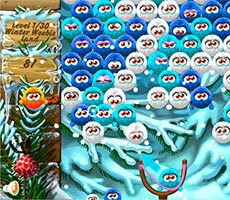 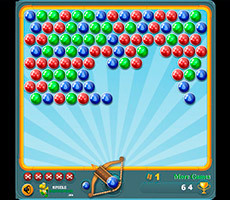 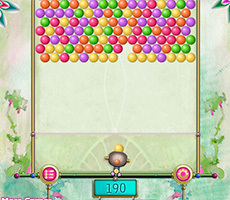 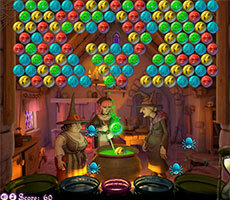 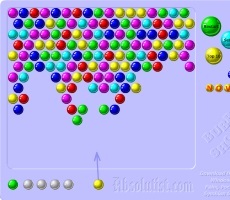 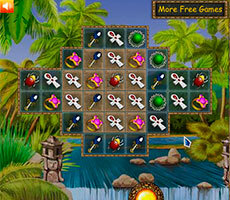 Lines 98 is a classic and one of the original Lines game or as it sometimes called bubbles. 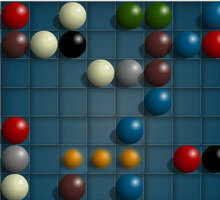 Rules of the game are very simple. 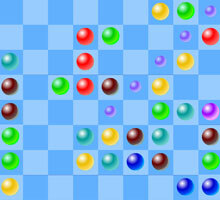 The playing field is lined 10x10 cells. 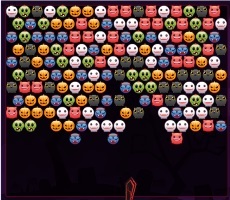 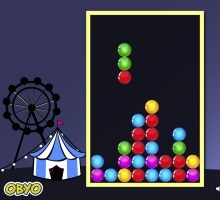 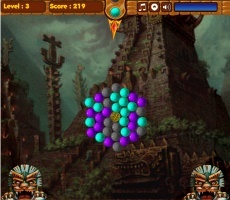 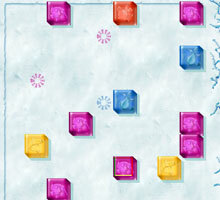 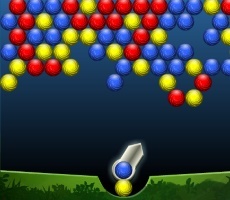 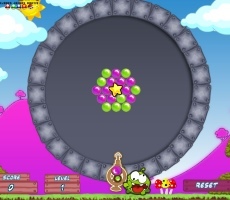 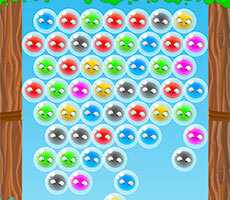 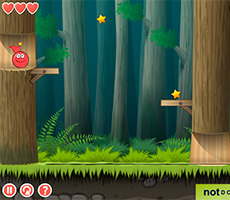 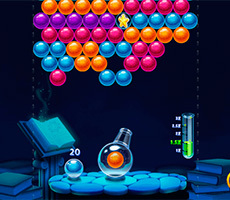 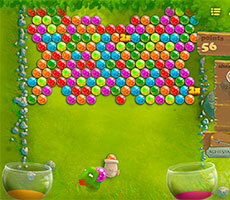 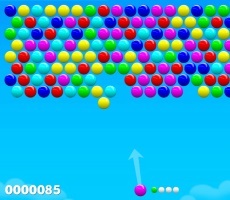 At the beginning of the game a few bubbles of different colors located on the field, you need to combine bubbles of the same color in horizontal, vertical and diagonal position to make them disappear and free cells. 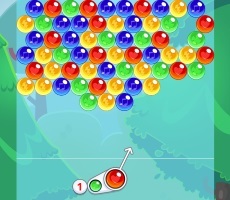 Thus when you move a bubble, 3 new bubbles is added. 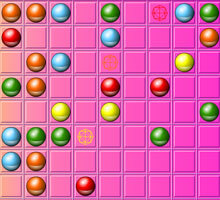 For each combination you get points. 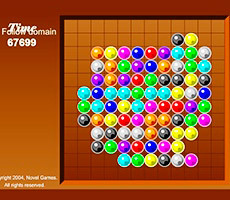 The point of game Lines 98 is to left field with enough free cells as long as possible. 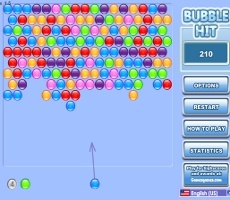 You lose when all the cells of the field are full with bubbles. 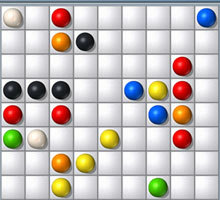 In this version of the game you can cancel the move or start a new game. 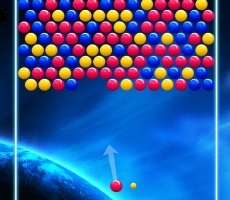 The bubbles do not appear immediately, they "mature", first appears a few mini-bubbles, which cannot be moved and only then the full bubbles. 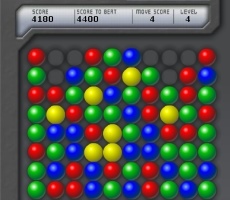 So you win a little time. 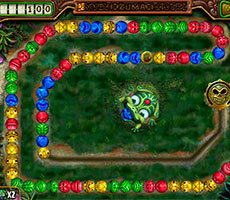 The left top left of display shows the number of bubbles on the field, the right top shows a score. 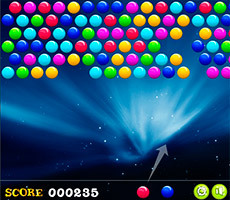 Control: move bubbles with a computer mouse, click on the bubble and then to the place where you want it to move. 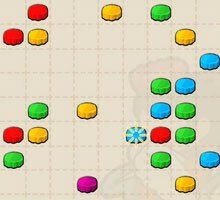 Undo button undoes the last action and Reset start the game again.